Small businesses in the traditional East End came together to celebrate East End Independence Day at the weekend, a festival championing the diversity of independent enterprises. 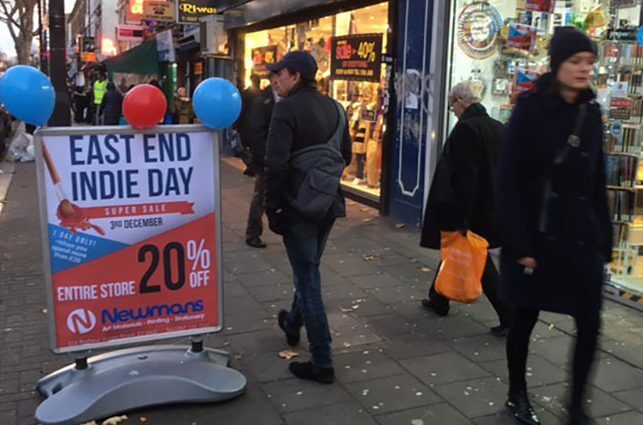 Organised by the East End Trades Guild to coincide with Small Business Saturday, the day featured street performances, ukulele workshops, street tours, jellied eel sampling and even wooden spoon carving. 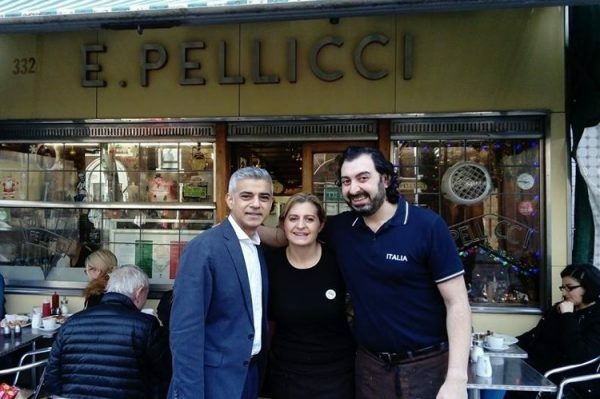 London’s Mayor, Sadiq Khan also participated in events, tucking into some homemade bread pudding at Bethnal Green’s E. Pellicci café. Khan agreed to join local traders for breakfast at the historic, family-run café, following a video invitation and campaign by the Guild. Bethnal Green business celebrating East End Independents Day. Pic: Aisha Majid. 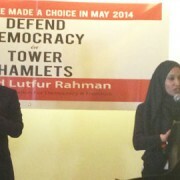 Established four years ago, the East End Trades Guild brings together over two hundred local traders. 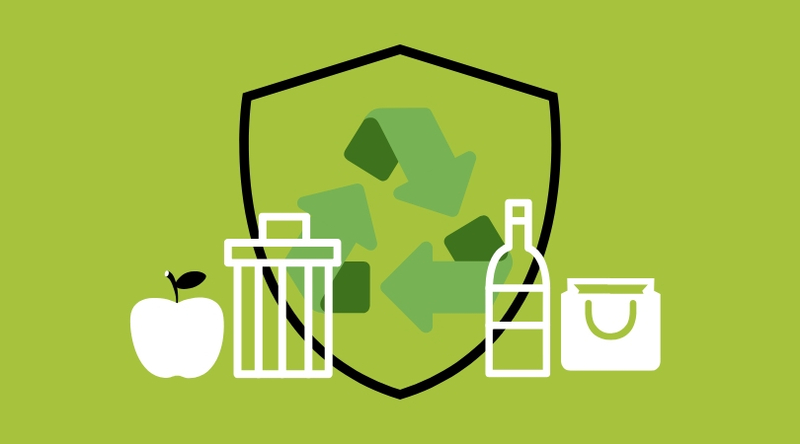 “With small businesses it’s very difficult to be operational and strategic at the same time,” said Lia Choi, Guild member and small business owner. “With the Guild it brings us together first of all, and also brings awareness about shopping local. 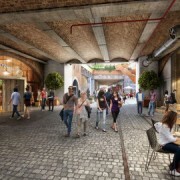 Saturday’s events took place across several East London boroughs, and included many of the East End’s iconic markets and commercial areas such as Shoreditch, Spitalfields, Hackney’s Well Street Market and Columbia Road. One of the many businesses participating on Saturday was Tatty Devine, a Brick Lane jewellery shop run by acclaimed designers, Rosie Wolfenden and Harriet Vine. Since coming to the area twenty years ago, the pair have seen the area change significantly, including a decline in the numbers of local shoppers compared to tourists, as prices have risen. 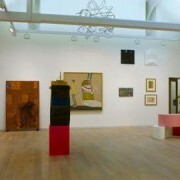 They still believe however, that Brick Lane remains an important hub for local creativity. Small businesses are an important part of the UK economy. According to the National Federation of Self Employed & Small Businesses, small and medium enterprises employ 15.7 million people in the UK, and have a combined annual turnover of £1.8 trillion, – almost half (47 per cent) of all private sector turnover in the UK. However, the operating environment for small businesses is getting harder as a result of rising rent and costs- including recent government increases in business rates. 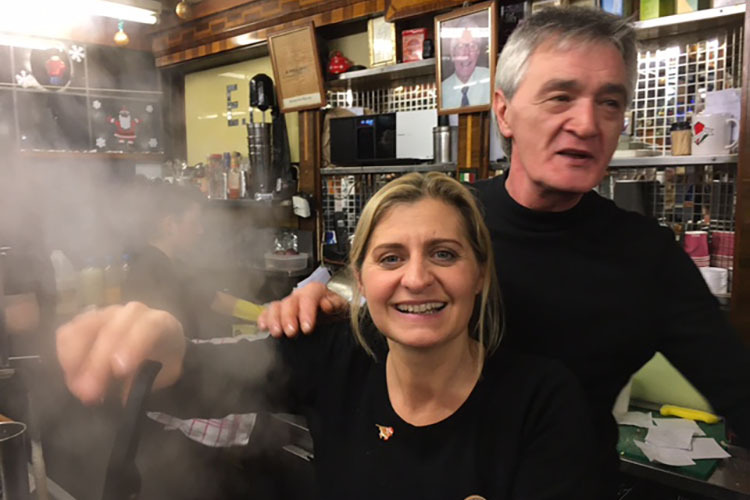 Anna Pellicci serves up coffee with Tony Pellicci. Pic: Aisha Majid. However, even for a bustling business like E Pellicci “there is more and more competition” from chains such as Costa and Starbucks opening in the area, said his sister, Anna Pellicci. The Pelliccis have also been affected by higher costs in utilities. In light of the pressures facing many small businesses in the capital, Choi believes East End Independents Day was important in giving greater visibility and voice to small business owners. “It’s really important that we come together and have that voice together and this day is a good vehicle for that,” said Choi.